Erasmus+ is the European Union programme for education, training, youth and sport for the years 2014 to 2020. It draws together multiple previous European initiatives, including the Lifelong Learning and Youth in Action programmes, into one. Erasmus+ provides funding and support for organisations to operate projects consistent with its objectives and which encourage European exchange, co-operation and learning. Project funding of almost €170 million been allocated to Ireland for the duration of the programme. Erasmus+ is funded by the European Union through the contributions of member states, including Ireland. Erasmus+ is open to private or public organisations active in the fields of adult education, higher education, school education, sport, vocational education and training, and youth and community work, in any participating country. While the programme enables individuals to travel, work, volunteer and study abroad, applications from individuals themselves are not accepted. Management of the programme is divided between the Directorate General for Education and Culture (DGEAC) of the European Commission, and National Agencies in the participating countries. 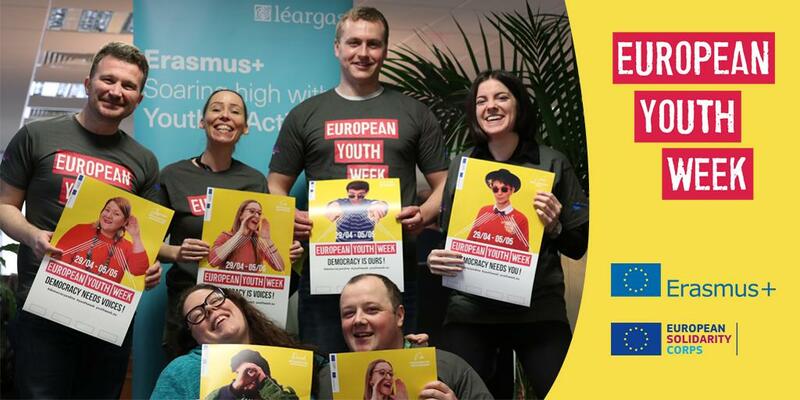 Léargas is the Irish National Agency for Erasmus+ in the adult education, school education, vocational education and training, and youth fields. For Erasmus+ in the higher education field, please contact the Higher Education Authority. Structurally, Erasmus+ is divided into three ‘Key Actions’ describing the kind of project activities possible. This action is open to the Youth field only and supports dialogue between young people and policy makers. Each Key Action is subdivided by the sector involved, as the application procedure and rules differ for each field. For in-depth information about Erasmus+, download the European Commission’s Programme Guide.